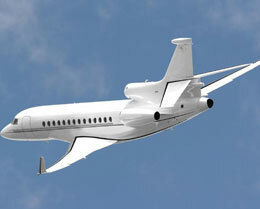 Delivered in 2007, the Dassault Falcon 7X long-range business jet flies faster, further and higher than its predecessors. 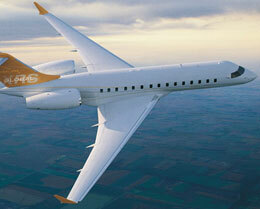 The 7X is the world's first fly-by-wire business jet, featuring high performance and safety benefits. The Falcon has a maximum range of 5,700 nm, providing the capability of flying Paris to Beijing, New York to Riyadh, and San Francisco to Moscow non-stop. Since it began service in 2007, the Falcon 7X has distinguished itself as one of the most desired jets in its category in addition to being the best seller in the Falcon line. This was to be expected, however, considering the fact that the Falcon 7X can travel faster and longer than any of its predecessors. 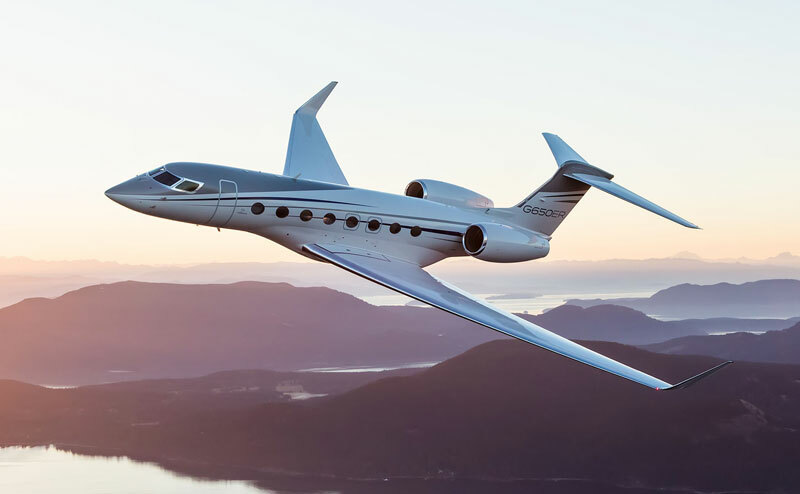 Boasting an impressive maximum range of 5,950 nautical miles, the 7X can easily connect the vast majority of city pairings worldwide, while offering the elegance, comfort, and luxury of the most advanced business jet ever conceived. Doubling as an office in the sky"
Accordingly, stunning technological capability is certainly not the 7X's only selling point. With an emphasis on style, comfort, and luxury, the jet's high and wide cabin offers the ability to customize up to three expansive lounge areas. No less than 28 large windows open up the modern design of its chic interior, providing an abundance of natural light as well as breathtaking views from almost any area of the jet. The 7X also features a full array of amenities designed around maintaining exceptional comfort and an elegant atmosphere. Private lavatories, ergonomic seating, advanced acoustic quieting, and even a full-size galley create an environment suitable for even the highest of standards. Supplementing the wide array of luxury amenities, the 7X possesses a remarkable ability to maintain a notably smooth and stable flight due to its digital control system. With the aforementioned computer guidance systems in place, the 7X automatically compensates for turbulence. 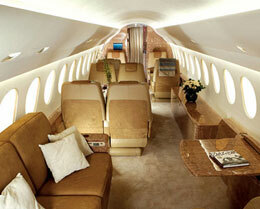 Nothing quite beats the 7X when it comes to maximizing the potential of modern technology. With over 25 years of experience developing military aircraft with digital flight controls, Dassault certainly has what it takes to incorporate this revolutionary technology in business jets. Being the first truly fly-by-wire business jet, the Falcon 7X utilizes state-of-the-art digital flight controls, which allow the pilot to have increased awareness and overall control in the cockpit. This Enhanced Avionics System (EASy) was initially developed and integrated successfully in earlier Falcon models and has proven its usefulness and reliability time and time again on a modern pilot's control panel. The 7X also features the first official implementation of the Rockwell Collins Model 5860 HGS (Heads-up Guidance System), which when working in conjunction with the CMC Electronics SureSight I-series Enhanced Vision System (EVS), can vastly improve pilot awareness in low visibility, poor weather situations. Versatile as it is useful, the EVS can help immensely during any phase of the trip, whether it be ground maneuvering, departure, or landing. For more information about chartering, leasing or buying a Falcon 7X please contact us by calling +44-20-3874-8091 or send us an email here.